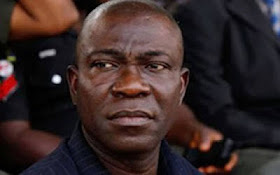 Ike Ekweremadu, Nigeria’s deputy Senate president, was permitted to go home after being questioned from morning till late evening on Tuesday by the EFCC. He was asked to return on Wednesday morning for further interrogation. Mr Ekweremadu turned himself in at the EFCC office Tuesday morning, following days of tension between him and operatives working on leads they said suggested a pattern of questionable acquisition of properties within and outside Nigeria. The politician has denied wrongdoing, accusing the EFCC of being on a witch-hunt to weaken his political stature. A source at the EFCC told Premium Times that the agency would not be distracted by Ekweremadu’s “desperate attempts to politicise” a potential case of stealing in public service being unearthed against him. Several properties linked to Ekweremadu have reportedly been uncovered in multiple jurisdictions, including the United Kingdom, United States and the United Arab Emirates. Operatives questioned him specifically on this throughout yesterday.